Almudena de Llaguno is not only another Spanish wines importer. She was the aunthentic pioneer when she founded Classical Wines from Spain, 30 years ago. She moved from Spain to Seattle to build a common dream with her partner Steve, who had been graduated at UW and loved the Pacific Northwest. Three decades later, Almudena has found in this city her second home altought “I miss the bright light of Spain,” she smiles. At first, not everybody believed in their adventure. “People asked if I think I could make money selling Spanish wines in the US. But we were young, adventurous and we had nothing to lose, so we followed our heart,”, says. Every succesful company arrives sooner or later to the tipping point, and for Almudena was the collaboration with Bodegas Pesquera from DO Ribera de Duero, one of the flagships of this wine region. “Spanish wines were totally unknown in the 80s. That´s why we decided to include the map of Spain in our business cards” Almudena explains. “All of this changed afte the 1992 Olympic Games and other Spanish wines importers began to work in the US”. She discovered soon that all this buzz was not a threat but a big push to her business. “Spaniard wines moved from a hidden corner in the stores to a more relevant space”. 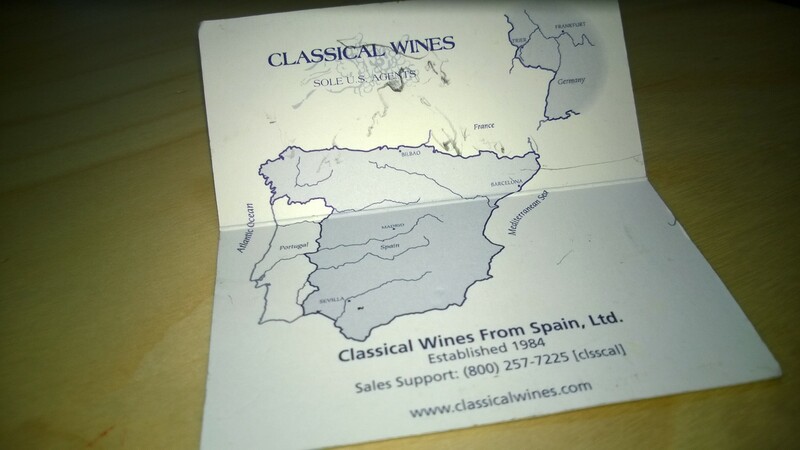 Today Classical Wines from Spain works all around the country but the biggest markets are New York, Chicago and Florida, where the latin american population is really faithful to great value classic wines. California, Washington and Oregon are good markets too altough they´re the first wine producers in the country. “Consumers breath the wine culture and they become more receptive to new varieties too,” explains Almudena. Many things have changed since Almudena founded Classical Wines from Spain 30 years ago. Spain produces today more wine than ever, but “It´s more difficult to find now an unique and authentic wine, the market is really even, following the directions of some gurus like Robert Parker,” explains. “Finding these special wines is our work and It´s the work that we enjoy the most”. Since the beginning of Classical Wines from Spain, Almudena have always promoted the original grape varieties of each area, like moristel in Somontano, a region situated in the NE of Spain. Luckily, Spanish local varieties are more appreciated now than ever. The wine culture is blooming in the U.S., where a more healthy lifestyle and mediterranean diet is gaining supporters day by day. “The influence of the media in the american society is huge , with publications as Wine Spectator , Wine Enthusiast , and the weekly column of Asimov in The New York Times,” says de Llaguno. “And luckily the influencers love Spanish wines”. Posted on May 20, 2014, in Products, The Yummy Guests and tagged Almudena de Llaguno, Classical Wines from Spain, Pesquera, Ribera de Duero, Spanish Wines. Bookmark the permalink. Leave a comment.